My husband made a really wonderful dinner for me tonight. 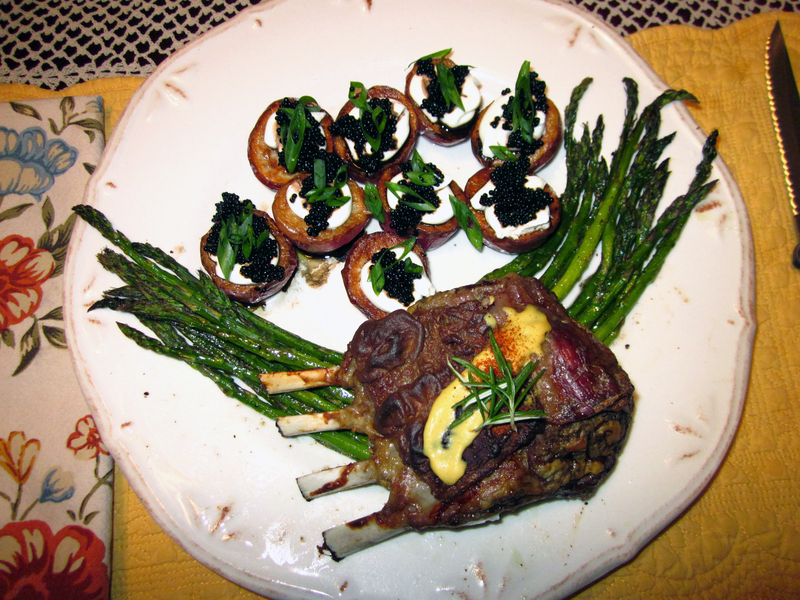 Roasted lamb slathered with a mustard sauce, roasted asparagus, and baby red potatoes topped with thinned goat cheese (I’m able to eat a little of it without problems) and caviar. And he even presents it beautifully on the plate.